National Book Award winner Mary Szybist reflects on Oregon's verse icon. Twenty years after his death—and, this month, 100 years after his birth—Stafford remains Oregon’s preeminent poet. Now, the 43-year-old Szybist finds herself carrying his torch: not only does she teach at Lewis & Clark College, as Stafford did, but in November she became the first Oregon poet to win the National Book Award since Stafford received the honor 50 years ago. (He went on to become “consultant in poetry” at the Library of Congress—a position now called poet laureate.) For Szybist, a lingering influence of Stafford’s work is its comfort in exploring the no-man’s-land between question and answer. 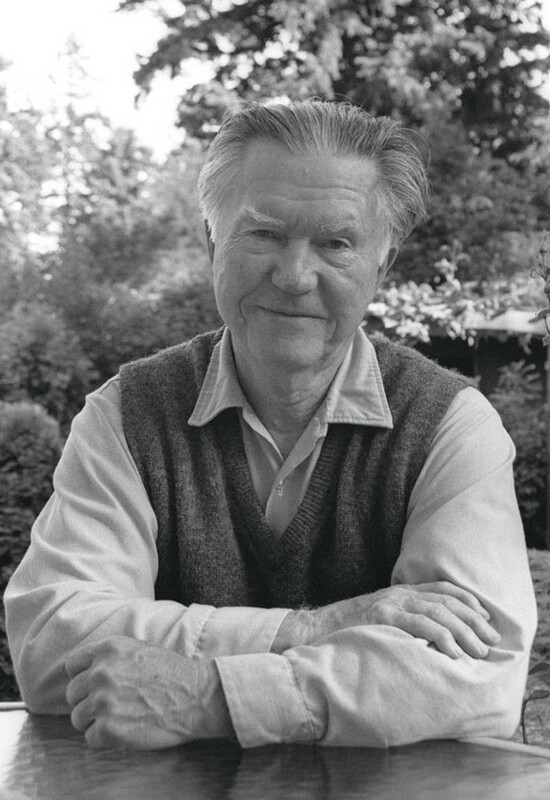 Literary Arts’ William Stafford Centennial Celebration (featuring Mary Szybist, among others) takes place Friday, February 7, at the Newmark Theatre.